Size for size the vertical type has the largest holding force, which is the force the clamps can resist without distorting. The handles have PVC grips. All sizes of clamp are supplied with tough rubber headed clamp screws. The column marked "Force" is the holding force of the clamp with the clamp screw at the mid position. Toggle clamps provide extremely versatile manual clamping arrangements for all manner of repetitive operations where parts must be held rigidly to be worked on and yet be changed frequently. They utilise the toggle principle to obtain high clamping forces with only minimal user effort. 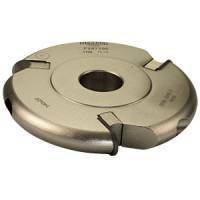 They may be simply and quickly incorporated in almost any form of jig or fixture and are therefore the ideal solution in many workholding applications from industry to craftwork.